Situated amidst the idyllic and pristine environs of the beautiful Cripple Creek, Timber Ridge Cabin is perfect vacation rental for spending a relaxed holiday with your family or friends. The well furnished bedrooms include four king size beds and a crib for kids. The bathrooms are well appointed with modern amenities. One will be delighted to use the fully equipped kitchen while cooking your favorite recipes and there is a formal dining table with a sitting capacity of four. The entertainment includes a TV with DVD player to stay hooked to your favorite movies or music. Internet access and telephone services are readily available to let you be in contact with your loved ones back at home. 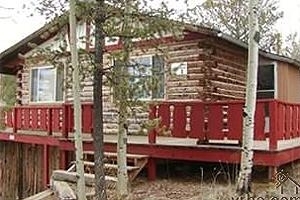 Timber Ridge Cabin vacation rental rates $110 per night. Timber Ridge Cabin is a destination of choice for a family vacation or just a weekend getaway.